I make no secret of the fact that Christmas is my favourite time of the year. But what makes Christmas so special for me? What is it I love in particular? I think the main thing I love is that everyone comes together at Christmas time. It’s a time for loved ones, for family and friends spending time together. Work pauses for most people, and time can be spent relaxing and enjoying food and drink in the company of those we love. I am very much about giving at Christmas over receiving. Sure, I love getting gifts, but nothing beats the joy of buying something for somebody you love and seeing their happy face when they open that gift at Christmas. I love the magic of Christmas for children, visiting Santa and getting excited to see if he brings what you asked for. The children are at an age where they truly understand and believe and it makes everything so special. 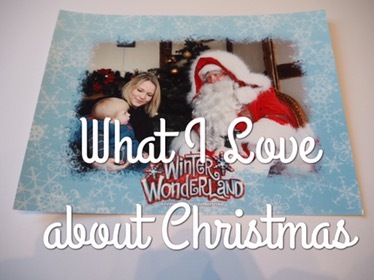 I also love that Christmas generally makes people happier, more cheerful, more friendly. If you go out on Christmas Eve, everyone is a lot friendlier than any other time of year, and the same can be said for Christmas Day. As part of our Christmas Day tradition, we go for a walk along the beach to visit my grandad’s bench. There are lots of other people walking by the sea and everyone says hello and merry Christmas. I’m not one to say let’s have Christmas everyday, as much as I do love that song, as that would take the magic away from this time of year, but I do wish everyone could be a little more cheerful, a little more positive throughout the year, as they are at Christmas. It really does make all the difference.